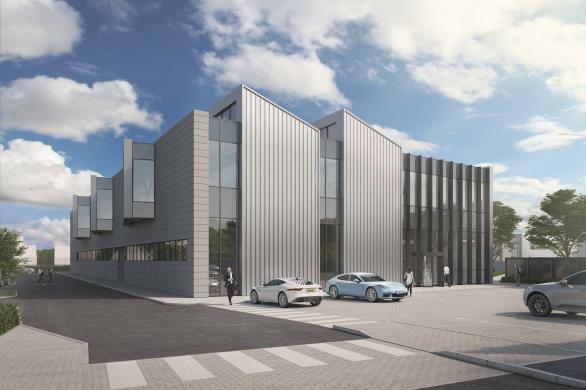 Advanced engineering solutions provider AB Dynamics has submitted a planning application to Wiltshire Council that proposes a second purpose-built manufacturing facility located opposite their current head office which will help the company improve productivity of current operations and aid future expansion. The new building represents a substantial new investment as part of AB Dynamics' longstanding commitment to engineering in Bradford on Avon. Close interaction between design engineers and production staff is vital to the business and the current spread of offices across five sites in Wiltshire can lead to inefficiencies. It comes a year after the company moved most of its operations into a £9m tailored engineering facility, now employing more than 160 people worldwide, with recruitment continuing apace. The company began providing noise, vibration and suspension engineering services to the automotive industry in 1982 and has now grown to become one of the world’s most trusted suppliers of automotive test systems. AB Dynamics has good reason to expect this to continue in the medium term as a result of its enlarged forward order book and encouraging sales prospects for new products under development. The rising global demand for high-quality automotive test equipment is a contributing factor in the recent growth of its overseas sales, with over 97% of its products exported to foreign markets. The new development will mean the creation of additional highly skilled jobs locally and together with the existing building will establish a high-calibre business hub close to Bradford on Avon’s town centre. James Routh, CEO at AB Dynamics said: "This new building will be critical to help facilitate future growth so that we can continue to successfully compete in a global market, along with creating many skilled jobs to boost the local economy."